My new blog photo courtesy of me. How about a slice of warm cinnamon coffee cake to go with that? Does that look scrumptious or what? for Keurig K cups.First the recipe…I discovered this coffee cake about 2 years ago when I was on a low calorie diet. I do not remember where I found it (as usual). It’s very easy to make.I lost 15 lbs. watching my calorie intake. I kept my calories to around 1300 per day, and lost about 1-2 lbs. per week.There are 230 calories in a slice which isn’t bad for a coffee cake. I usually serve this with scrambled eggs and fruit. I just gave Daphne & Val a piece before school this morning. Preheat oven to 375 degrees. Use non stick cooking spray to spray a round 9in. cake pan. Prepare cake part first by mixing all listed ingredients, and spread in pan. Then use medium bowl for topping ingredients, cutting butter in with a fork until it crumbles. Sprinkle on top of cake and bake 22 minutes at 375 degrees. Serve warm. 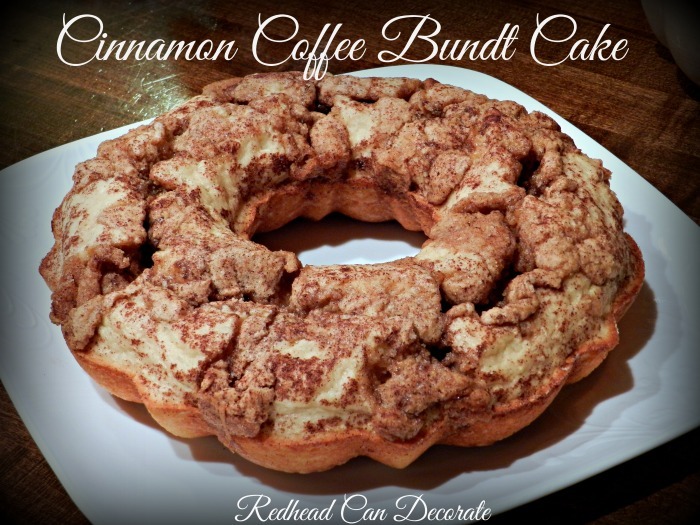 *****To make into a Cinnamon Coffee Bundt Cake, just use a bundt pan, and follow the recipe. Do the topping on top and spray the pan with Pam. I also now add a little more cinnamon and sugar to the top right before I bake it. Now on to something I stumbled upon a couple weeks ago. It was 7am and I was making Rick’s tea. My droopy eyes wandered onto the spice rack Rick gave me for Christmas 21 years ago. 21 year’s ago? How can that be? You mean to tell me that some of these spices are 21 years old? They’re legal for crying out loud. That can’t be. Shouldn’t these spices be cement by now? Or maybe becoming spice monsters or something? a couple of them haven’t. Shame on me. Don’t worry I don’t cook with those-I know that could be dangerous. and have done so in every kitchen we’ve lived in. I love this little guy. He’s been there through it all. to my lemonade cake that turned heads. I’ll never throw him out. I couldn’t get over this. A true shocker if you ask me. It’s like it was the plan all along. Guess it was meant to be.Now what do I do with all of those spice bottles? 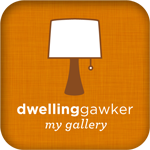 Ps: My gallery on “Dwellinggauker is growing”. Hope you can visit sometime. I’m very proud of those photos considering I’m a self taught photographer. I’m learning lots and I hope to improve more and more. I so wish I had a piece of that right now!! That’s a great spice rack…even if you use it for K cups. Looks amazing! I have a bake sale on Friday and need to plan ahead. How long will the cake stay moist and not stale? Make it the night before for best results! Hey Sharon, the text was off. The “topping” recipe is all set. Hi there – I’m based in SA and we don’t get “Bisquick” … can you please tell me what it is? Thanks. thanks Nicole…I’m stuck on this too! Love me some coff cake all day every day! Love the new Blog logo look too, so fun! does the “complete pancake mix” that you just add water work as Bisquick? Hmmmm? I’ve only used Bisquick, Jen! Make sure it has the same ingredients in it to be sure. Yummy….I just this cake today and blogged about it. Instead of sugar I substituted Organic Coconut palm sugar for the regular sugar and brown sugar. if I have no egg substitute on hand how many eggs should I use? 1 will do it Rhianna!